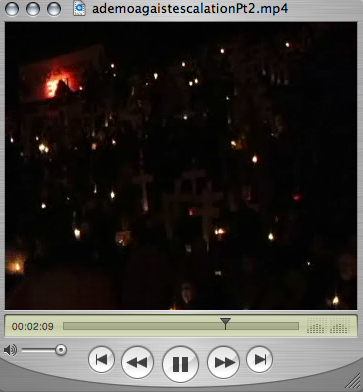 Footage from the January 11ths vigil to protest troop escalation where “This Little Light of Mine” was sang. Roughly 300 people came to the rally at the war memorial in suburban California. Link to Video.